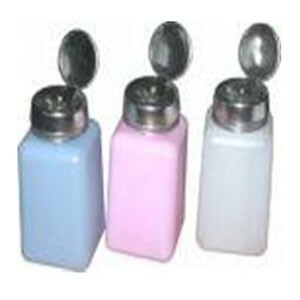 180Ml Pink, single touch pump top bottle for solvents, cleaners and alcohol. Ideal for clean rooms and PCB soldering work. Helps prevent wasteful evaporation & contamination.